Are Lawsuits in the United States that Different? What to Expect. We begin this post by asking a question that must be on the minds of many persons from abroad, who, for one reason or another, need to bring claims or lawsuits in the United States: what makes litigation in the United States different? Procedures? Rights? Damages? What are some of the actual differences that may exist? For those familiar with the civil law, as it exists in most of the European Union nations, the question is, how does the European civil law compare with the United States’ legal system? To begin with, the “law” of the United States is really composed of the laws of its individual states. Each state has its own “common law”, that is, a body of recorded and accepted decisions in cases from the past, which is used to provide precedent for current cases. States have their own legislatures too, which may create new rights or remedies for certain claims which are not available in another state. Most lawsuits in the United States are filed in the courts of the 50 states. In some respects, the different states within the United States can be seen as sovereign entities. Many have different legal traditions and heritage. Every state has its own legal heritage, procedures and statutes. The damages you may be entitled to, or which you receive, may also be different from another case you may have heard about, because of the state laws where your claim has to be filed. However, state courts and legislatures have limits. There are statutory federal laws, and federal courts, which handle certain types of legal claims, and disputes between citizens of different states or even citizens of foreign countries, but the amount of the claim involved must be big enough. A European should be somewhat familiar with a federal system from the European Union. The federal legal system in the United States, however, is much stronger and has a broader reach than any European court at the present time. Federal cases generally proceed to trial in a shorter amount of time, and the judges are appointed instead of elected. Some matters, like immigration or intellectual property (copyrights, patents, trademarks), are governed directly by federal laws. If your case involves a maritime contract, or an event that occurred on the seas or inland waters, it will be governed by “admiralty law”, which is its own federal body of law (although the case can be in a state court). Jury trials. 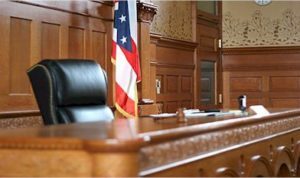 One aspect of our legal system, in all 50 states within the United States and in federal courts, is the trial by jury; though, it is not mandated in all cases. Not every claim is brought to a jury trial. For example, sometimes you may not want a jury because the lawsuit is quicker and simpler that way, and less expensive. On the other hand, you may want to demand one, because of who the parties involved may be, or because you are worried about getting a fair result from a certain court. Punitive damages and legal fees. Some states and some types of legal claims allow for an award of “punitive” damages (derived from the Latin: “to punish”), in addition to the other damages you may have. To my knowledge, this is very unusual in the civil law tradition. Also many states have rules that provide for the award of legal fees and expenses. Again, however, depending on the state, these awards may not be available. Generally, there is no nation-wide “loser pays the fees” rule, like in some countries. Sometimes a statute provides for recovery of fees and expenses, but this is another factor your lawyer must determine in your suit. Pre-lawsuit procedures. In many states, some types of claims require that a specific procedure be followed before a lawsuit can even be filed. For instance, in medical malpractice claims, many states require some form of pre-suit finding or determination by a medical expert, that there was even a possible wrongdoing, improper procedure, or breach of the standard of care by a doctor, before the suit may proceed. Another example is that with contract claims, the contract itself may contain a provision requiring the case go to arbitration instead of to court, or it may have a valid clause selecting the specific state where a claim must be filed. Length of time for the case to go to trial. The time it takes for a lawsuit to actually get to trial differs widely depending on where in the United States the case is filed. Federal cases are usually on a faster track than state cases. Some state courts are slower because the state sees a much greater volume of litigation than other states. This can be true even between different courts within the same state. Your lawyer should be able to advise you on how long your case may take to litigate, given where it will be filed. In summary, a person from abroad may find that they have remedies and damages available in the United States that are rare or that may not exist in their own legal system. On the other hand, sometimes they may find that rights and procedures they were familiar with in their own country do not exist in the United States, or work differently than they anticipate, and may take longer to litigate than at home. We at Jackson Law International, take pride in making the effort to advise individuals from other countries on their rights, remedies, and potential recoveries for claims which must be brought within the United States legal system. We strive to explain any legal particularities to our clients, and relate them in terms with which they may be familiar.